Something simple, but I struggled with this recently - I had to make a Netflix Ribbon based client call to a secured remote service. It turns out there are two ways to do this using Netflix Ribbon, I will demonstrate this through Spring Cloud's excellent support for Ribbon library. So now if the remote service were secured, the first approach and likely the preferred way is actually quite simple, just add an additional configuration to the "named" client to indicate that the remote service is secure, note that the port also has to be appropriately specified. 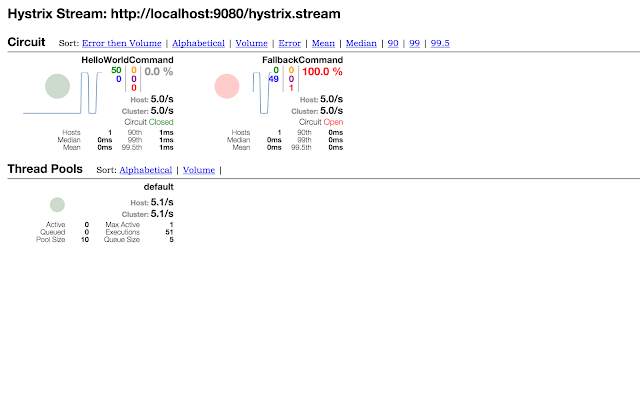 In a Spring-Cloud project it is very trivial to expose the Hystrix stream, all it requires is a starter application for Hystrix to be added in as a dependency and the stream functionality is available to the web application. 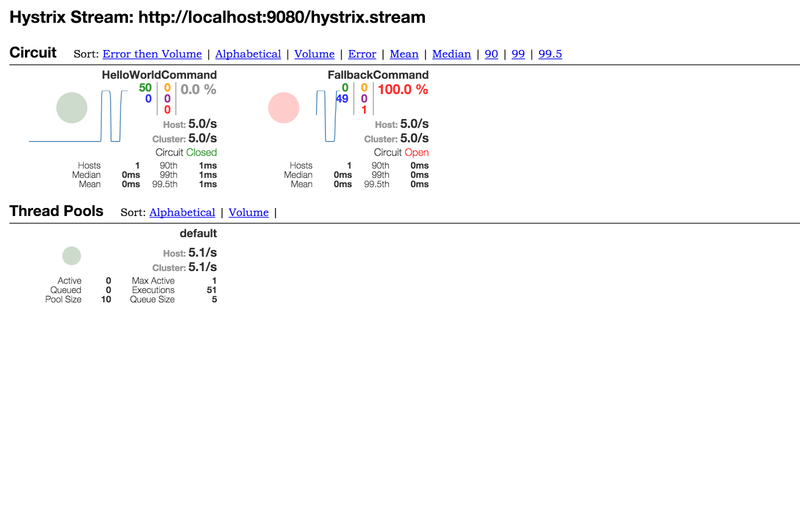 If you look at the counts against the host now, it indicates the 2 hosts for which the stream is being aggregated. JWT provides a very interesting way to represent claims between applications that can be verified and trusted. My objective here is to show a small sample to generate and validate a token using the excellent Nimbus JOSE + JWT library. here "sub"(subject), "iss"(issuer) and "exp"(expiry) are reserved claims but "name" and "admin" are private claims. The content is then Base64Url encoded. Finally the header and payload together is signed using either a shared key or a private key and the signature is Base64 url encoded and appended to the token with a (.) separator.